To Apply Online for RPF Recruitment Exam, a candidate must pay the Application Fees. If the applicant fails to pay the required application fee, his/her application form will be considered incompleted and thus will not be accepted. A sum of Rs. 500/- needs to be paid as application fee for candidates belonging to General and OBC category. The same amount is reducted to Rs. 250/- for candidates belonging to SC/ST/Female/Ex. Servicemen/EBC Category. 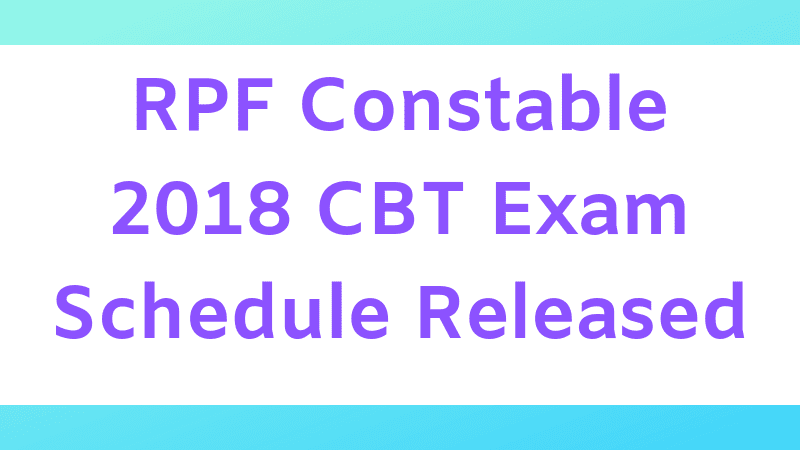 Let's have a look at all the phases of RPF Recruitment Exam 2018 in detail. Negative Marking: 1/3rd Marks will be deducted for a question attempted wrong by a candidate. No marks will be deducted for any question left unanswered. It is mandatory for all candidates to qualify Physical Efficiency Test in order to be eligible for further recruitment of RPF 2018 Exam. This is the final selection stage for RPF Recruitment 2018. Candidates who have been selected in the previous processes will be finally called for Document Verification. Shortlisted candidates should produce NOC from the employer on the date of his/her DV failing which their candidature will be cancelled. 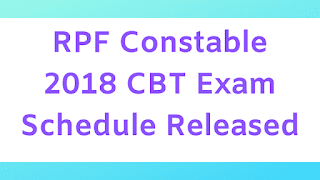 0 Comments "RPF CBT Examination 2018 Schedule for Constable Recruitment"